It’s true that all of these WiFi systems took the promethean role of bringing the once too expensive mesh technology to the home users or smaller offices and make it as affordable as possible, but it was Netgear that decided to take a different route when it designed the Orbi system and instead of using the multi-node technique, it went with a main router + satellite extenders approach, while dedicating a 4×4 MU-MIMO radio for backhaul traffic, therefore greatly improving the way the network operates and achieving higher speeds and larger coverage than with any other router setup. 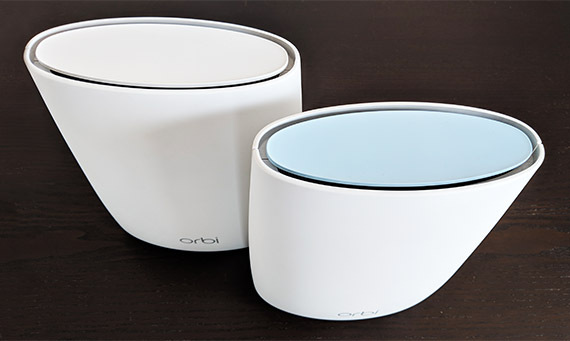 This made the Netgear Orbi the fastest WiFi system to date and among the most popular among its peers. 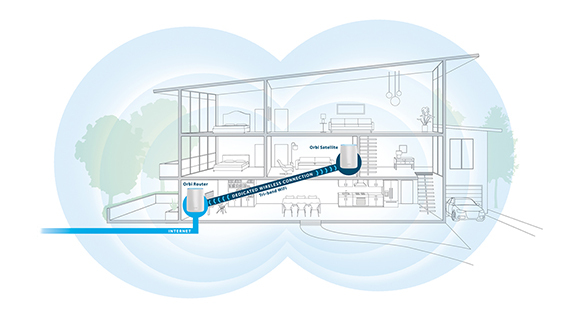 Over the last two and a half years, the Netgear Orbi RBK50 System underwent multiple radical changes, pushing the spoke and hub topology towards the better daisy-chaining (the satellites can now communicate between each other) and it also included the Ethernet backhaul feature to help get a more stable network. 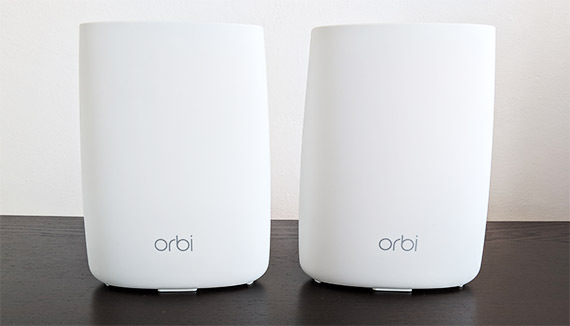 These changes have greatly improved the feature-set of the Orbi, but some users have also experienced a high degree of network instability which seem to persist even today, despite multiple fix attempts. 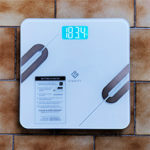 UPDATE 17.03.2019: More than two years have passed since the Netgear Orbi has been introduced to the market, so I decided to retest the system and see if its popularity is still justified and if the manufacturer has managed to fix some of the issued that plagued a significant portion of the users (the article was UPDATED taking into account the v2.3.0.32 firmware update). The Netgear Orbi can be purchased as a single main router (which would defeat the purpose of the device) or as a main router + satellite (of course, you can add more than one satellite extender), so unlike the mesh systems, where every unit is identical with each other, the Orbi’s base router is slightly different than the satellites in terms of exterior design, as well as on the functionality. Both the router and the satellite have a relatively large white case, which is covered by a matte finish (which is soft to the touch and doesn’t retain fingerprints) and one of the differentiating factors is the colour of the top side: the router has an all-light-blue top, while the satellites are completely white. The design choice seems inspired by modern furniture shapes (like those you can see in futuristic magazines), but I can not help feeling like this is a larger air freshener. 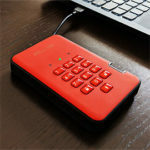 Regardless of that, there is no doubt that this is a nice looking device and since it doesn’t have any features to make it stand out or attract the attention in a room, it will be on a large majority of people’s taste. 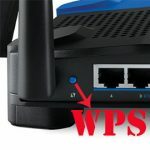 Because both the router and the satellites are a lot taller than your average router and have a smaller base (a single unit has the following dimensions: 6.67x 2.36 x 8.89 inches), but be aware not to put them near a place where there’s heavy traffic, since similarly to the Linksys Velop, it is very easy to accidentally push any unit off the table or desk (and possibly break the device). 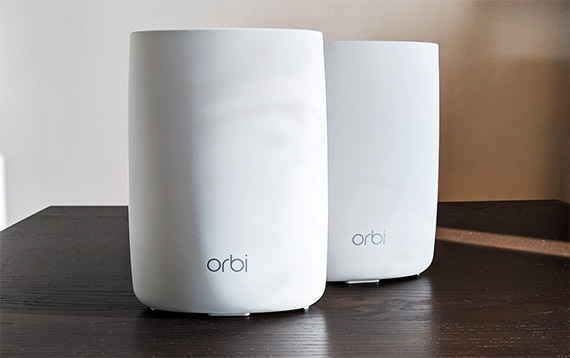 Furthermore, each Orbi device weighs around 1.96 lb and, while that may be more than enough for a large generic-looking router, the Orbi router can feel a bit lightweight (it has a low gravity centre, but the oval shape keeps it from being properly stable). To alleviate this problem, the manufacturer had added some elements to make it stay in place so, on the bottom side, there are four relatively large silicone feet positioned towards the edges which will keep the device from budging and in the middle resides a label with printed info about the device (the default SSID and password, the Serial Number, the MAC address, as well as the web UI address, username and password). On the left and right side of the label there are two sets of vent grills in slightly recessed zones (a necessity since the rubber feet aren’t tall enough to allow a proper airflow) and there are also some cut-outs above the ports area which, in total, did create some concerns about the heat distribution (of course, it relies on passive cooling), but, thankfully, so far neither the router unit, nor the satellite have overheated. Similarly to other WiFi systems, the Netgear Orbi took a minimalistic approach when it came to the LED indicators and instead of going with the typical array of LEDs, both the Orbi router and the satellite rely on the top ring indicator to show the status of the system (but, be aware that the LED behaviour of the router is different than that of the extenders). So, if the router ring LED flashes a white colour, then the unit is either booting or the Sync process has been initiated, otherwise, if it’s solid white, then it is resetting to factory default settings. If the ring LED is solid magenta, it signifies that the Orbi router can’t connect to the Internet, but if the LED is turned off, then the router is working normally. The satellite ring LED is flashing a white colour when the unit is booting up, it will be solid magenta if the extender failed to synchronize to the main router and it will turn off when the satellite is synced to the main unit and is working properly. 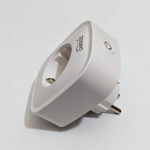 Furthermore, the satellite LED will turn blue for 3 minutes if the connection between it and the router is good and it will turn amber for three minutes if the connection is fair. Just like with the Linksys Velop and other WiFi systems, I dislike the idea of a single LED that shows the status of the system using different colours and blinks simply because it is counter-intuitive and you need to constantly consult the instruction manual to understand what is happening with your network. The oval body shape doesn’t betray that this is a WiFi system and the only thing that reveals that we’re dealing with an actual networking device is the back side, where you can find a series of ports and buttons: from the left, there is a Sync button (can be used as WPS), four Gigabit (10/100/1000 Mbps) Ethernet ports (the router unit uses the first LAN port to connect to the Internet (it is divided by yellow), while the satellites lack this function), a USB port, the Power On/Off button with a Power LED on top of it (if the LED is solid amber, then the device is booting, otherwise, if the LED is blinking amber, then the device is returning to factory default settings and lastly, if the LED is blinking red, then the firmware is corrupted), a DC-IN Power connector and a recessed Reset button (to restore the unit to factory default settings, press and hold the Reset button for at least seven seconds – until the Power LED from the rear side turns off). Note: Inside the box, you can find the main Orbi Router unit (RBR50), one Orbi Satellite (RBS50), a relatively long Ethernet cable, a Quick Start Guide and two 12V/ 3.5A power adapters. 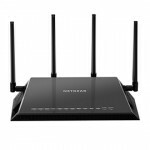 The Netgear Orbi router uses the Qualcomm Atheros IPQ4019 chipset (with integrated quad-core ARM Cortex A7 processor clocked at 717MHz) which is the first product to use Qualcomm’s SON technology (Self Organizing Network). Besides the Qualcomm chip, there’s also the Qualcomm QCA8075 Gigabit chipset (for performing Port Switching and Port Mirroring), 512 MB of DDR3 RAM (NANYA NT5CC256M16DP-DI) and 4GB of flash memory (Samsung KLM4G1FEPD-B0310 eMMC). 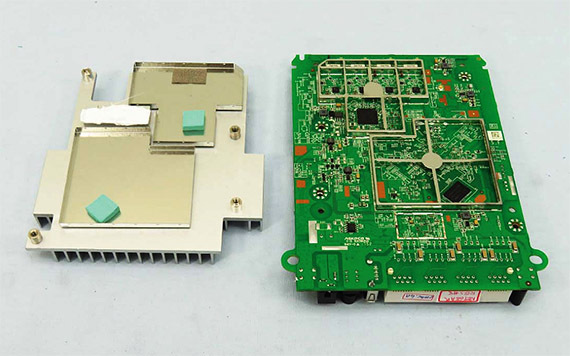 Furthermore, the 2.4GHz radio uses the Qualcomm IPQ4019 chipset along with Skyworks SKY2623L 2.4GHz Power Amplifier, while the first 5GHz radio band uses the Qualcomm IPQ4019 chipset, along with the RFMD RFPA5542 5GHz power Amplifier and the dedicated 5GHz radio (backhaul) uses the Qualcomm QCA9984 chipset, along with RFMD RFPA5542 5GHz Power Amplifier. The Netgear Orbi also comes equipped with a CSR8811 Bluetooth 4.1 SoC. 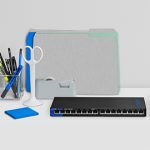 The Netgear Orbi is marketed as a AC3000 class router system, therefore the router unit features a maximum theoretical speed rate of 400 Mbps using the 2.4GHz radio and a maximum theoretical speed rate of 867 Mbps using the first 5GHz radio band. 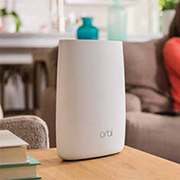 Additionally, the Orbi system uses the second dedicated 5GHz radio as a backhaul band which can reach a maximum theoretical rate of 1,733 Mbps (added to the advertised 3000Mbps). At first, despite being advertised as a Tri-Band Mesh Home WiFi system, the Netgear Orbi could not really create a mesh network (not in the same manner as its competitors) and only later, after an update, it could take advantage of some of the features of a mesh network. By default, a mesh system consists of (usually) more than one identical routers, which are scattered around a specific zone (house or hotel or even smaller communities) and have one or more units connected to the Internet, while all the other units connect to the closest router (also called node) in order to share the load and find the better route for transmitting and receiving data. Some of its main features are the ability to self-heal if a node goes offline (the system finds the best nearby nodes to re-route the data, so it keep the network online and running) and the capacity to continuously analyse the signal and other network parameters to create better routes for every added device. The problem with all mesh systems is the increased latency after you add many nodes and a larger number of clients (at this point, the whole network may become unusable because of the lack of bandwidth) and the real challenge from the networking products manufacturers was to find a way to keep a low enough latency and to cover as much space as possible with WiFi. 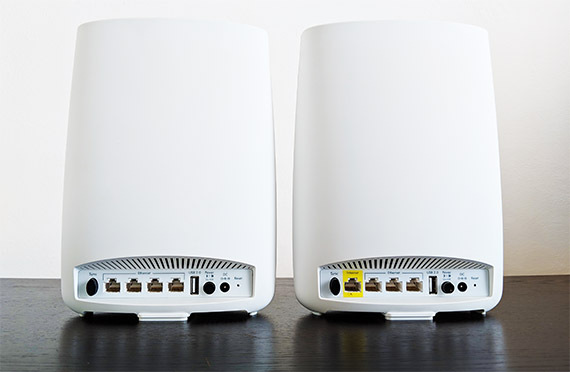 The advent of tri-band routers has given light to new ways of handling clients and the Linksys Velop is one of the first to take the initiative by adding one more radio band, but did not dedicate it specifically to backhaul, allowing the clients to connect to either one of the three radio bands, so again, with a larger number of Velop units, the network can become unstable and at a certain point, unusable (although the system is able to use Ethernet backhaul something that the Orbi does not, so that could recover some lost bandwidth). It’s nice that the Netgear Orbi has added the Ethernet backhaul feature, but, as with all new added features from Netgear, it did destabilize the entire system (it could create broadcast storms), but, with the new update (v2.3.0.32) it did fix this issue, so make sure to keep your Orbi at the latest firmware available. The Netgear Orbi is also a tri-band router but does things a bit differently. Instead of allowing devices to connect to all three radio, it has a dedicated 5GHz radio for the backhaul traffic (with higher bandwidth – as seen in the Hardware section) which uses the higher channels and leaves the lower channels for the clients (you can’t connect to the third radio even if you use only the router, without the satellites). This way, Netgear pretty much solved an older networking riddle on how to make extenders to stop halving the bandwidth. 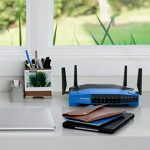 That’s right, if you have an extender using the same band as the router for broadcasting and receiving the wireless signals, then you’ll experience a 50 percent signal loss. 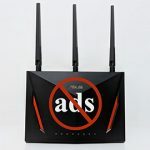 Of course, if you use only the Orbi router and the satellite, you’ll experience almost no signal loss or latency, but, as you add more satellite add-ons, this advantage will diminish. 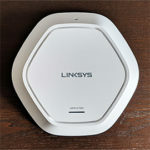 A while back, the most relevant distinction between a wireless mesh system and the Netgear Orbi was that the satellites didn’t communicate with each other and each add-on extender had to connect directly to the main router in order to function. Now, Netgear has enabled daisy-chaining (with v2.0.0.74), so, the satellites are able to communicate and connect between each other and any satellite unit can dynamically choose the best path: either directly to the main router unit or through a nearby satellite. 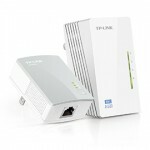 This way, the system should deliver a seamless connection inside a larger home or office and you won’t experience any disconnects as you move around a larger area (especially with the new Fast Roaming feature). 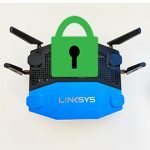 Note: Be aware that the daisy-chaining feature is still unpolished and it is advisable that you don’t place the second satellite too far from the main router, otherwise you may experience connectivity issues (30-35 feet between the routers should be ideal).